Halloween is one of my favourite holidays! I love everything about it, the costumes, jack-o-lanterns, ghoulish food, parties, trick-or-treating and best of all an excuse to watch as many horror movies as you want! It’s probably because I’m a massive horror movie fan – it’s pretty much how I was brought up and slightly inevitable with two older brothers (and the fact that my mother also loves a good horror/thriller). Movies of my childhood include: Chucky, It, Gremlins, Nightmare on Elm Street, Friday the 13th and Psycho, to name but a few. From there it’s extended to many many more. Anyway, I encouraged the office to do something vaguely Halloween-y and unfortunately, despite originating in England, Halloween is not so big here, but some brought in treats and have some form of head decoration, so I’m happy with any effort! 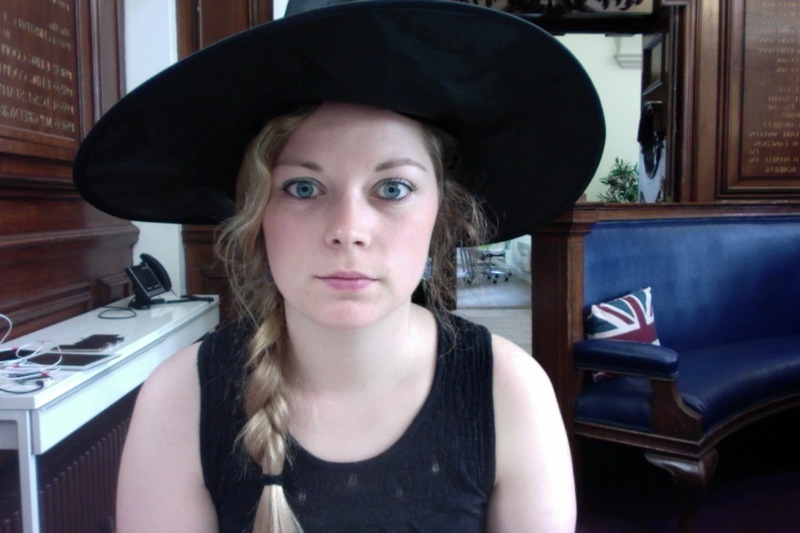 I’m dressed as a sort of modern witch in a wool grey-black dress with burgundy polk-dot tights, green eye shadow and of course a witches hat! 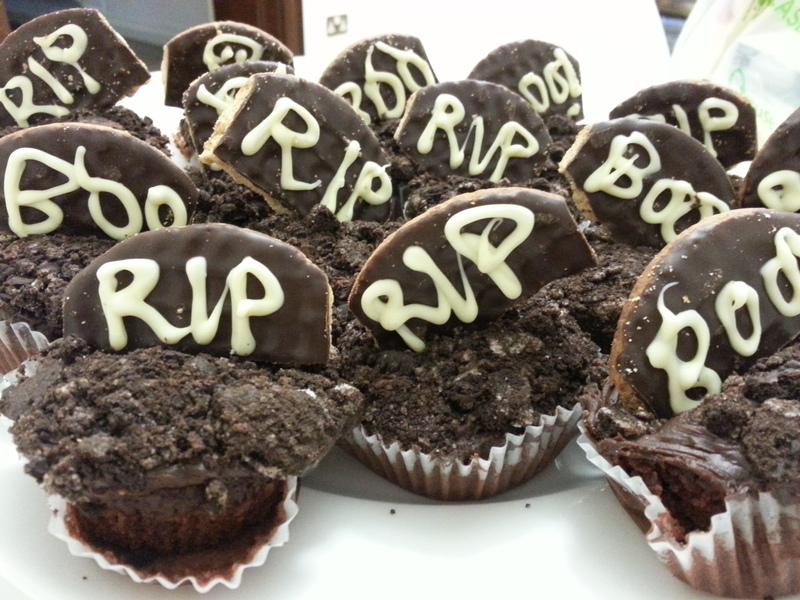 I brought it graveyard chocolate cupcakes, complete with little R.I.P tombstones, cheesy ghoul fingers, swamp guacamole, and vampire-proof dip (onion & garlic). I can’t say everything is home-made because I didn’t have enough hours in the day to make it all from scratch. 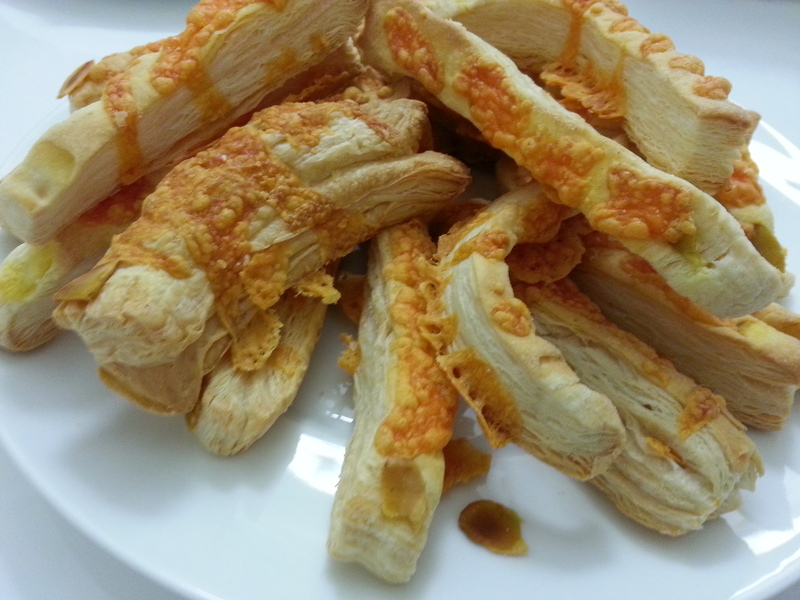 The ghoul fingers are ‘home-made’… I bought the pastry but assembled & baked them myself. 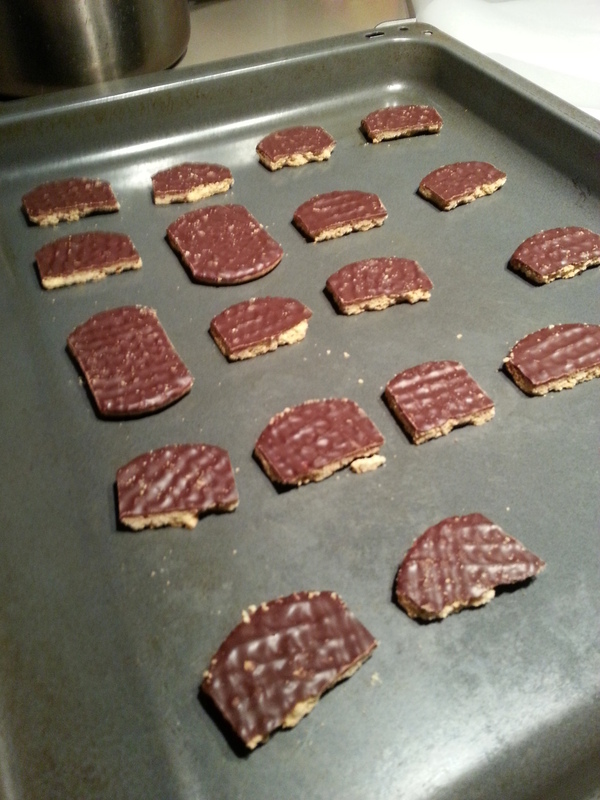 Tombstones ready for icing! I used melted white chocolate. 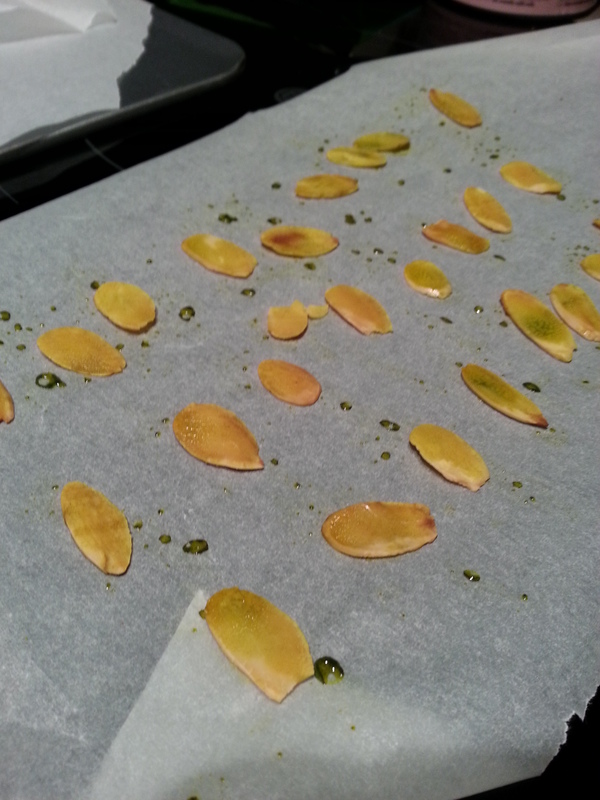 I used green food colouring to give the almond nails a creepy ages look.